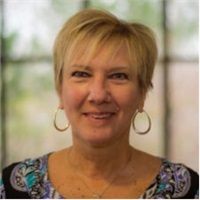 Sue started in the industry in 1980 as an assistant to two portfolio managers, since then, she has worked in operations as a bookkeeper, wire operator, assisted advisors, assisted branch managers, and conducted branch inspections. Before joining Stratos, Sue served as the Administrative Complex Manager in charge of HR and operations. Sue also holds the Series 66 registration through LPL Financial and Stratos Wealth Partners. At Stratos, Sue is our resident expert on assisting and training advisers, performing suitability reviews, and advertising. In her spare time, she enjoys spending time with family and friends, riding motorcycles, working in her flower gardens, bowling, and enjoying her pets.